The tooth of the curved tooth file has been designed as a lunette shape to be shaved up sharply than the previous flat ones. Our specific positive rake angle makes sharply and planes final fine in smooth. 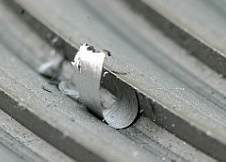 The cross section is designed as the middle height construction on the center of the file, due to avoid injuries from the file edge touch. 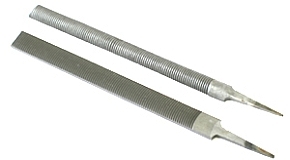 This file is provided with a handling grip for easy handling, and is applicable for any handcraft made of aluminum, steel iron, and light iron as zinc.. 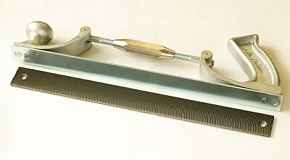 This file is suitable for shaving and rubdown of plane metal surfaces or polishing up on painting surfaces. By adjusting of the turn buckle, the handling angle is available to modify freely at your comfortable setting.